There's a way of laundering money / payola, where the gifter of the graft makes multiple trades: the winning trades get credited in the giftees account, the losing ones are credited to your own, and thus for the cost of the losses, you get to launder those bribes. This is why this whole affair reeked of impropriety to investigators and anyone with a clue. But again, not quite enough evidence to prove Hillary wrong, and others took the fall. 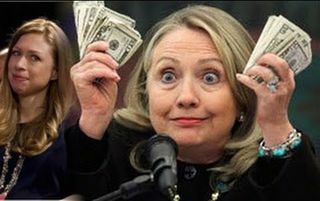 Hillary got away with a large sum of illegal money -or- despite being an idiot savant at it, she decided to never trade again. Which is more plausible? Of course the fact checkers (Politifact, FactCheck, Snopes) choose not to check these facts, because they don't reflect well on Hillary -- while Republicans and others mention this one fairly often. Do you think such an obvious example of payoffs is "not newsworthy", or a lie of omission?